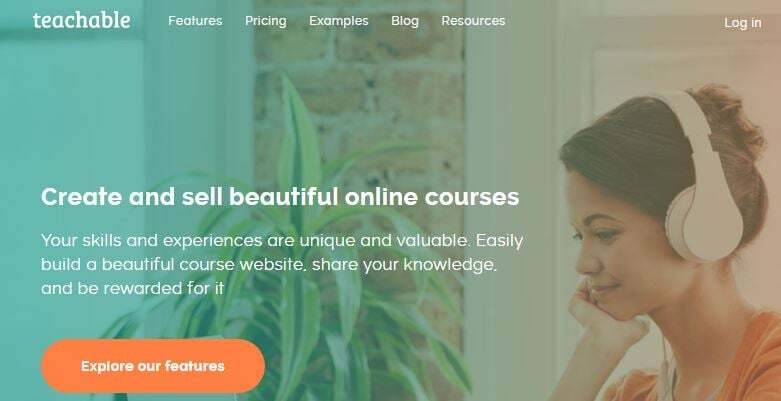 If you want to build your own brand in the world of online learning platforms then thinkific can offer you so many impressive tools where audience can grow over nights. Once you have developed compelling content it is possible to sell courses immediately. The design customization options are really advanced where business can be scaled to much higher level within very less time. 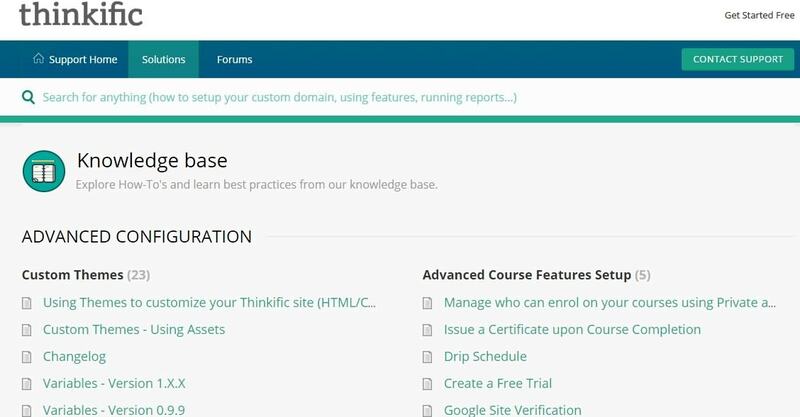 The best thing to know about thinkific is that you need not to acquire any specific technical skills for course content generation rather simple to use tools of thinkific will help you to manage everything with ease. Courses can be launched on free, paid and subscription based criteria. The support system is very active here so you will never find any trouble in course content development. Teachable works with a thought that skills and experiences are valuable so they must find right platform over internet. Here you can develop interactive courses within very less time and knowledge can be further shared with wide number of students. Currently it is serving around 3 million users and 20000 courses are available online. More than 7500 instructors are working actively on this platform and most of them are earning high payouts. Teachable offers effortless setup to its users and lead to exceptional learning experience with customizable professional tools. Branding is much easier on Teachable and it never even asks for specific coding skills for development of feature rich course content. It is possible to attract large student base within minimum time using interactive platform of teachable. For Teachable: Depending upon selection of plan you will be able to select transaction fee that varies between 0%, 5% and 10%. Payouts can be generated on monthly basis as well as instantly. For Thinkific: The transaction fee is same as that of teachable but it provides instant payouts to users. Thinkific as well as teachable: both platforms serve users with custom branding and custom domains. In case of thinkific you will be able to access html and css to custom whereas in case of teachable its visual editor that can assist you for all things. Thinkific also serves users with locked and hidden content setup but this facility is missing in teachable. Impressive marketing and sales tools are hosted by both platforms. You can grab attractive packages in form of coupon codes, third party integrations, integrated email marketing and integrated affiliate program. The missing part in case of teachable is the course ratings that are much improved in case of thinkific. If you choose the highest plan on both these networks then you will be able to access almost similar kind of services in terms of unlimited courses, video bandwidth, number of students and hosting. Both these platform support course content in form of video lectures, audios, quizzes and exams but in case of teachable you will not find assistance for surveys and presentations. That part is better served by Thinkific. Both these platforms use to host interactive discussion forums where students can easily discuss their queries. Progress report of students can also be accessed easily from both sites but in case of thinkific learners will be able to avail editable completion certificates and the environment is fully automated. The enrollment process, purchase and customer sign up- all follow similar sequence in both these platforms . You will find great support for order tracking, retargeting pixel support and for conversion on both sites. Both these platforms are having a big set of similar features but still few things can make difference in your selection. If we talk about pricing then teachable is rated on higher scale but at the same time it also offers customized options where drag and drop tool can be accessed for easy editing. If you are not familiar with css knowledge base or html then this platform is good for you. Those who consider payouts of priority are advised to go ahead with thinkific because it will provide you complete payment after 30 days whereas free or basic plans of teachable do not provide money.